The tub deck is all but gone here, to make room for a fabulous free standing tub in its place. See ya! Wouldn’t want to be ya! 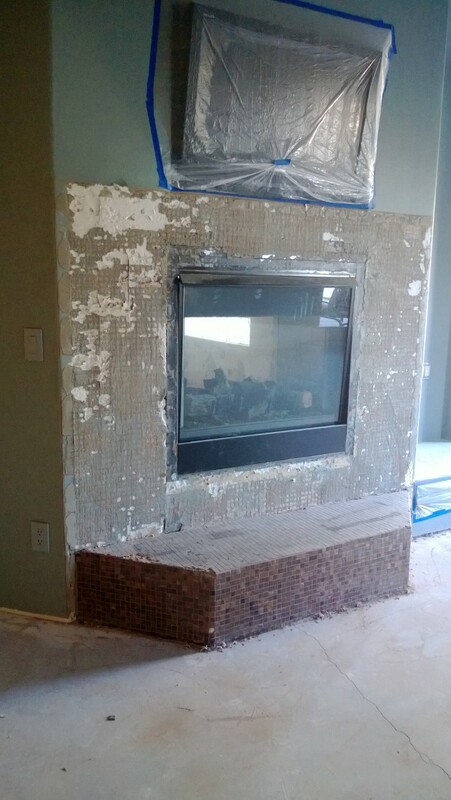 Can’t wait to see this fireplace with its new outfit on. Sadly, I designed this fireplace eight years ago and learned that my client didn’t really ever love it. That just breaks my heart! You have to be able to clearly state if you like something or not… my worst fear is that someone would live with some design element that I suggested that they didn’t truly love and appreciate! Mr Yuck called and he wants his shower back! So not to air dirty laundry… but the guy that built this house did not install a shower pan to today’s code, nor did he use waterproof materials. 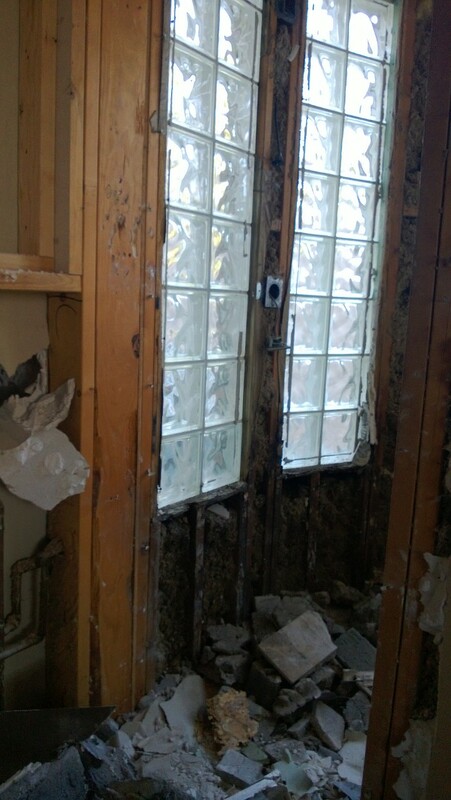 He installed particle board behind chicken wire and mud that was all covered with porous natural stone… in a STEAM SHOWER! Shame on all of the people involved in this original construction! We are going to fix it and make it healthy and clean again, but not something I wanted to have to deal with- you, sir, are not my friend! 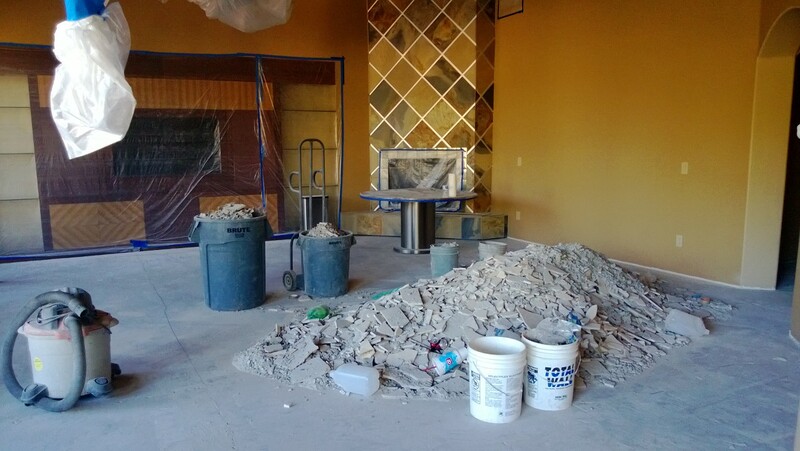 Losing the travertine makes my heart hurt a little. I have had mine for years with kids and dogs and I love it, it’s indestructible (but I love a “rustic” look 😉 I can’t wait to see your design come to life! 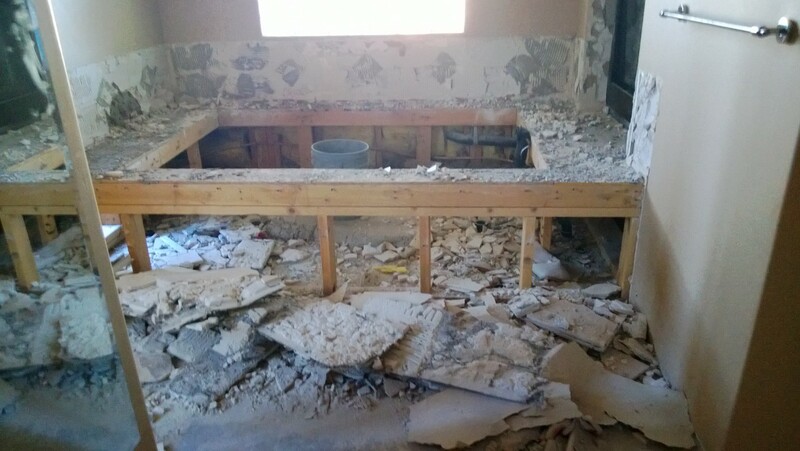 Agreed- There are many travertines that work great under pressure, but unfortunately, the one in their house was unfilled and not great quality, so the exposed grout in the fill spots and huge joint lines were always dirty.